We hope you had a fabulous, incident free holiday. However, if something did go wrong on your trip, be sure to let us know. Claim could not be found. Your Claim Number is unique and is used to locate your claim to ensure documents are attached to the right policy. 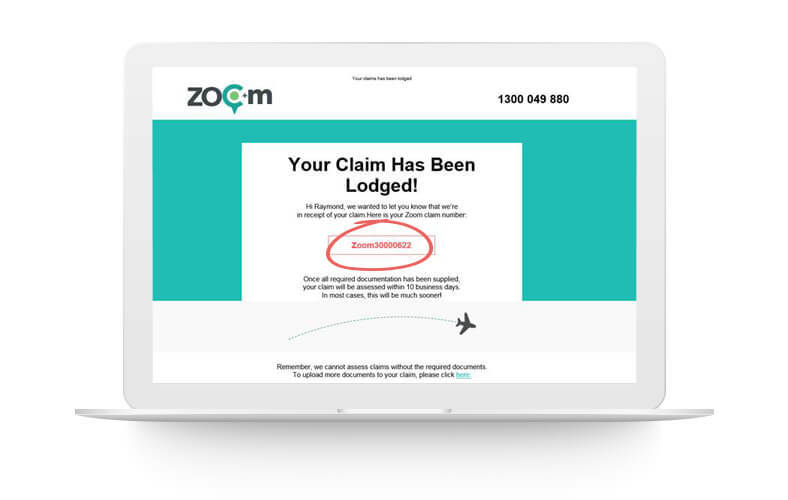 It starts with ZOOM and can be found within the confirmation email you received when your claim was initially lodged. If you can’t find your claim number, don’t worry, you can email your documents to [email protected] or call us on 1300 383 550 (within Australia) or +61 7 3164 3261 (from overseas). We are going to need certain documents and evidence from you. But don’t worry, we’ve kept it simple, and we only ask for documents that we need. Hover over the scenario you're claiming for and we'll tell you what documents are required. For us to process your claim quickly, we will need certain documents and evidence from you. For each type of claim, we outline exactly what kind of documentation we need in our claims form.